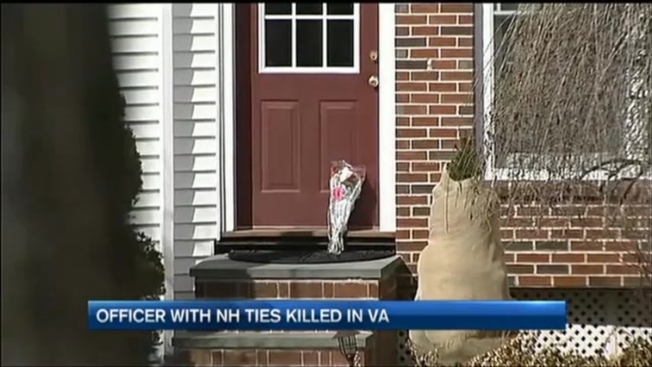 One day after rejoining the police force, an officer with connections to Massachusetts and New Hampshire was shot to death in northern Virginia. A moment of silence is planned Monday at Merrimack High School for 28-year-old Officer Ashley Guindon. Childhood friend Kim Mulhern remembers Guindon as a kind, strong woman who served in the Marine Corps before becoming a police officer in Virginia. The Merrimack, New Hampshire, native was killed as she responded to a domestic violence call. The heartbreaking reality has police officers across the country and in her hometown in mourning. Chief Mark Doyle of Merrimack Police said, “The fact that this is an individual who was a member of our community makes it even more difficult for us to reconcile. And we’re doing all that we can to do so as well as support the family at this point in time." Guindon’s high school senior year book quote displays her character, saying “Live for something rather than die for nothing." Mulhern said, “She was just a really good person and she’s probably the bravest person I know. I mean, she didn't deserve this." As for the high school, the principal says they also plan to honor Ashley at graduation this spring.